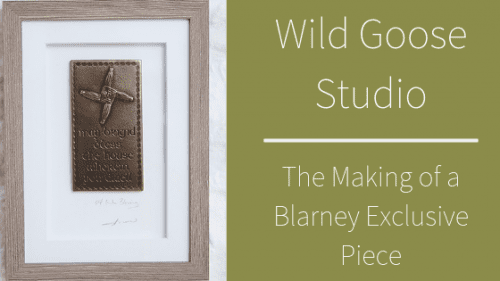 Founded in 1970, Wild Goose Studio is known for creating beautifully handcrafted, original pieces from their workshop in the picturesque town of Kinsale, Co. Cork. Brian Scott-McCarthy and Kathleen Smyth founded the studio and together with other leading Irish artists, they create artwork by taking inspiration from ancient tales, Irish heritage, traditional blessings and much more. At Blarney Woollen Mills, we are proud to stock a number of these original and handmade pieces. 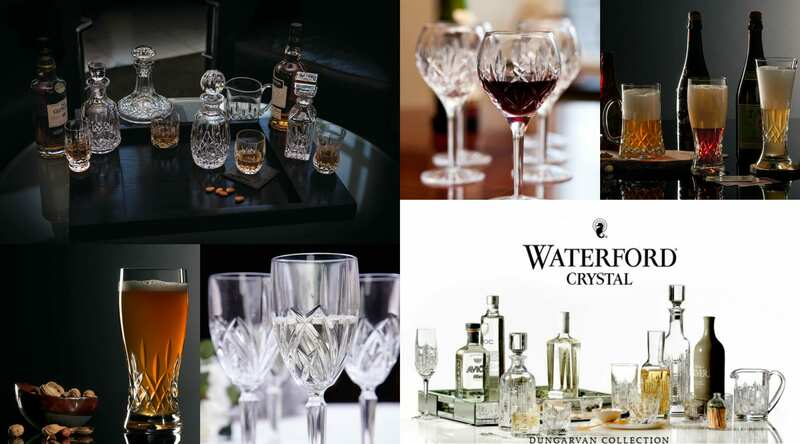 We recently worked with the amazing Irish artists at Wild Goose to create a new and exclusive piece just for us. 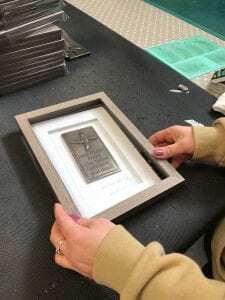 We wanted to create a traditional piece that our customers would love – a piece that could be added to any room to bring a comforting touch of Ireland to the home. In-store, many visitors are drawn to the symbol of St. Brigid’s Cross, an old Irish symbol of protection. 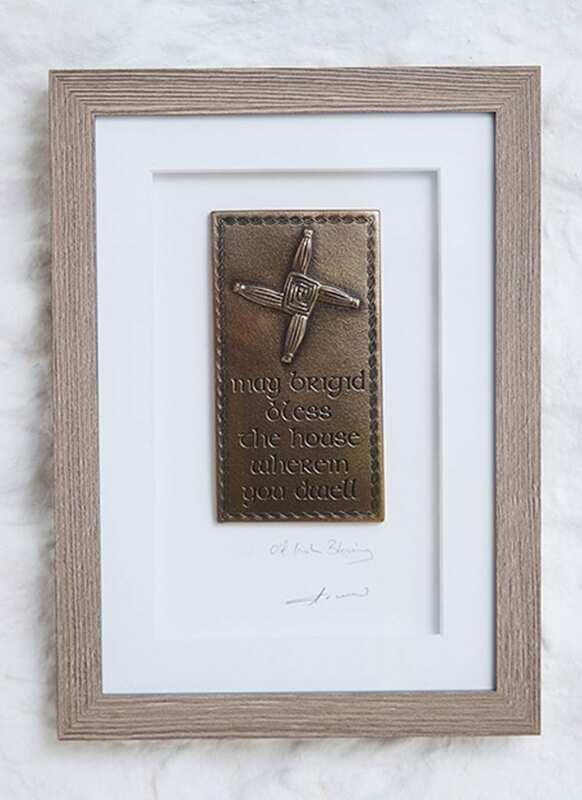 Usually woven from reeds which grow wild in rural Ireland, we wanted to create an exclusive St. Brigid’s Cross piece handmade in Ireland from pure bronze and beautifully framed. A traditional Irish blessing was also decided upon – “May Brigid bless the house wherein you dwell”. 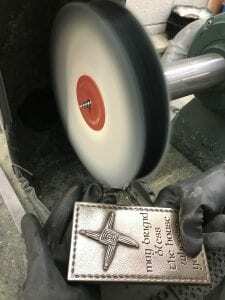 The first stage of creating our exclusive piece is the casting stage, where the skilled craft-workers use a cold cast method to create the design. 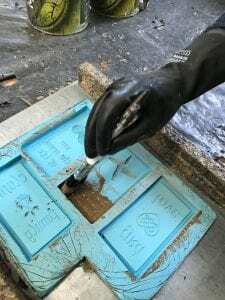 Each piece made by Wild Goose Studio has a shell of pure cast iron or bronze backed by a resin and ceramic core. 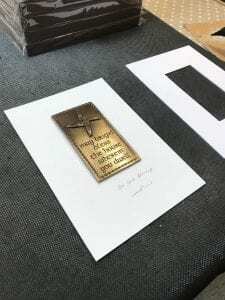 Our exclusive piece is made of bronze. 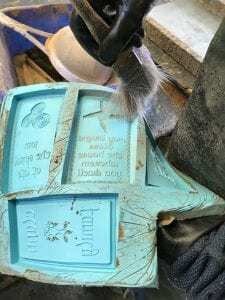 Our design was carved into a sculpted piece, creating a mold. 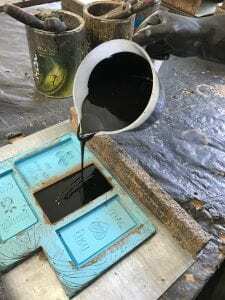 Then, bronze metal powder is used to form the outer surface of the piece and the inner is created from a cold cast pouring. 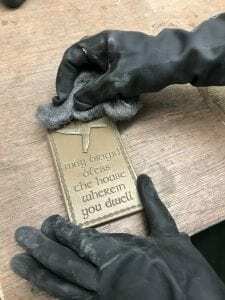 Once the piece is set and ready, it is carefully polished to reveal the beautiful bronze design hidden beneath. Adding an additional touch of uniqueness, our piece is signed by the artist behind the design, Adam Grabski, before being delicately framed. 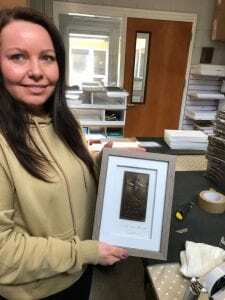 Once framed, our exclusive piece also has a label added that explains its origins and the significance, so that you can learn about the imagination that lies behind it. And here is the beautiful, finished, Blarney Exclusive St Brigid’s Blessing Plaque! 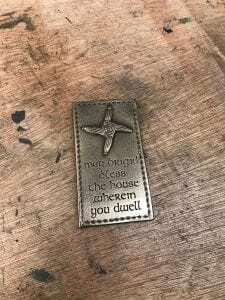 A handmade, unique piece to bring Irish blessings to the home. We are so pleased with this design and were thrilled to be able to create this piece with the fantastic artists and staff at Wild Goose Studio! 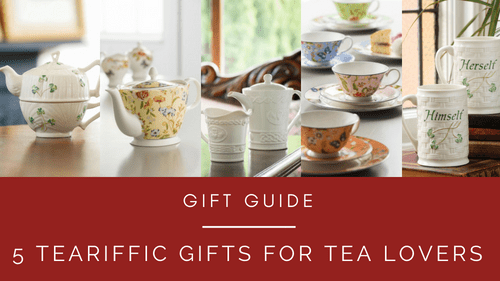 Treat A Tea Lover with These 5 Teariffic Gifts!